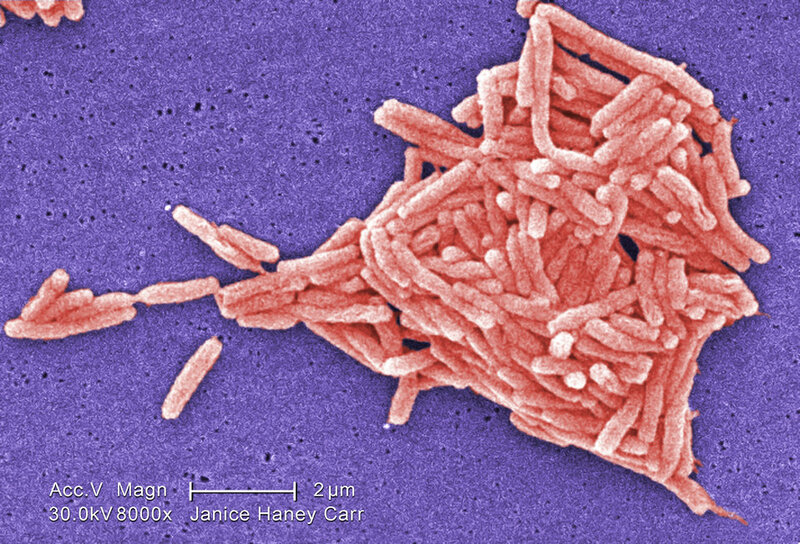 Magnified 8000X, this colorized scanning electron micrograph (SEM) depicted a grouping of Gram-negative Legionella pneumophila bacteria. Please see PHIL 11092 through 11152 for additional SEMs of these organisms, specifically PHIL 11127 for a black and white version of this image. It appears that a few are still joined to one another just prior to the completion of their reproductive process known as cell division. In some of these views you'll note the presence of flagellar appendages.